Over the last decade, climate neutrality has received considerable attention as a way of meeting climate responsibilities on an individual, organisational and national level. Climate neutrality refers to a service or production process that either produces no C02-equivalent emissions or, if there are any, compensates these emissions only after a reasonable attempt has been made to reduce these emissions.1 Put simply, the climate neutrality mantra states: "reduce what you can, offset the rest"2. Yet, should climate neutrality become an actual goal? Does offsetting not create a problematic "green-washing" opportunity for the affluent? Is the focus on zero additional emissions not a utopian distraction from the political debate on fair shares? These questions all point to the political risks associated with climate neutrality. However, as we will argue first conceptually and then via a case study at the University of Greifswald, there is a case for climate neutrality as part of a more general climate policy in affluent, democratic countries. 1. Efficiency: Climate neutrality is a process that via its reduction goals forces us to rethink the efficiency of resource use. 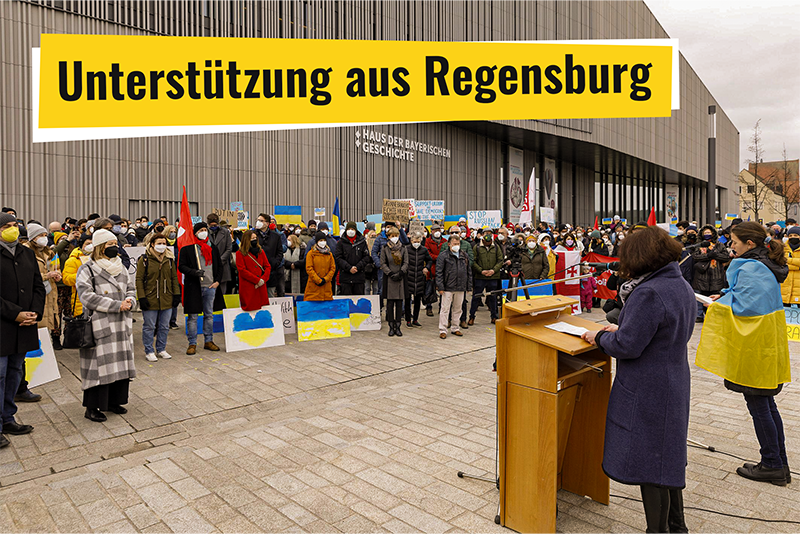 In times of rising resource prices – for example, the University of Greifswald's energy costs accounted for almost half (49 percent) of 2013's operational budget, for the first time – such money saving options should not be ignored. 2. Moral action during political uncertainty: International climate negotiations are notoriously fraught with obstacles. However, if the Earth is dying, we cannot afford to wait until the end of negotiations. Under such circumstances, climate neutrality is a straightforward goal in the right direction. 3. Global justice and climate: Justice calls for special attention to the effects of economic globalization on those least advantaged. Recipients of the lowest income globally are also those who are most exposed to the negative effects of climate change. Climate neutrality among the affluent is a strategy that maximally reduces emissions, and is responsive to the historical emissions that helped the industrialized nations to attain their current level of affluence. 4. Human rights and other species: Climate change affects human rights, including life, health and subsistence. As long as the process does not violate human rights, climate neutrality is a permissible strategy. This strategy actually reduces risks to human rights in the most radical way, due to anthropogenic climatic change. This becomes more serious still, if the moral community includes (as many environmental philosophers propose) other species at risk via anthropogenic climate change. They are at risk from: changes to habits and conditions required in order to flourish, changes which force migration and shifts which can cause extinction if they cannot adapt quickly enough. 5. Work-life balance: Even if we adopt equality per capita as a fair share of global climate justice, it is clear that it can frequently be very difficult for individuals to reduce climate change. However, at an organisational level, the skills and knowledge required for change are more readily available and immediately have greater impact. Here, climate neutrality policy can reduce the burden for individuals, who would otherwise be under severe pressure to achieve their share. 6. Neutrality and lifestyles: Liberal societies de facto select high-carbon material lifestyles, whereas low-carbon lifestyles are difficult to pursue in society. Yet, if liberal society are all equally committed to a goal, a much greater effort is required to create space for such "fringe-lifestyles". 7. Virtue: A virtue – as the disposition of an individual or organisation – systematically produces or gives rise to the good. Universities as hubs for research and education, should lead the way in understanding urgent, intellectual and morally challenging societal issues, such as climate change. They take responsibility through uncertainty and demonstrate excellence.To summarise, there is most definitely a case for climate neutrality as a strategy for reducing risks to human rights and highlighting that the well-being of those less affluent is the responsibility of the affluent. Amongst the rich, liberal nations, there is a special case for climate neutrality on an organisational or national level: to tackle work-life balance and to create opportunities for low-carbon lifestyles. Virtuous organisations should lead the way, or as environmental educator David Orr puts it: "understand the truth and act nobly"4. The University of Greifswald's mission states the goal of CO2-neutrality as part of the process towards a sustainable development. Its CO2-emissions were measured focussing on electricity and heating used and university staff's work-related travel and vehicle emissions6. In 2011, they produced CO2-emissions roughly equivalent to 8,985 tonnes. Approximately 1/2 is electricity and about 1/8 is air traffic. There are several ways to reduce emissions, such as to increase a building's energy efficiency and applications used by staff, change behaviour to save energy and use alternative transport (switch to low-emission electricity providers and travel by rail instead of air etc.). Switching to a green electricity provider reduces emissions by about 4,000 tonnes/annum; switching from plane to train for trips less than 800 km would save another 53 tonnes/annum; educating staff as to recommended levels of heat and electricity usage is estimated to reduce emissions by another 337 tonnes/annum. Achieving this could reduce CO2-emissions by about 50 percent. The university could compensate for the remaining emissions (4,319 tonnes/annum) locally, as it own forests. An analysis estimates how much more CO2 could be saved on university land, if forest management changed. If 25 percent less timber was removed from forests per year, carbon storage would increase by roughly 4,916 tons/annum; if 40 percent less timber was removed the increase would be roughly 8,503 tons/annum. The university's CO2-neutrality concept recommends that the goal is achieved via a 50/50 strategy: about a 50 percent reduction and substitution of energy and heat sources, and a 50 percent compensation via a change in forest use. It also recommends that the whole process is complemented by research and teaching associated with a CO2-neutral university. CO2-neutrality – an unsocial goal? This last point is extremely important. CO2-neutrality provides opportunities for research, and a debate about the responsibility of universities. A controversial topic... For example, Greifswald's concept was referred to as "unsocial" in a discussion in the Senate of the university. This concern can be assessed looking at the points explored above and the university's concept. In one sense, the concept is unsocial if climate neutrality just means offsetting and no reduction. Here, it does seem appropriate to refer to greenwashing. However, obviously, such an approach is not necessary. Reduction is possible by making changes to current practices, even though it appears very difficult and ambitious. The concept is also unsocial in another sense, if focussing on zero emissions is used to conveniently end global discussions on climate justice. However, as we have seen, the concept's power depends on it being one element of a global response to climate change and – specifically using it as an element of affluent, democratic societies and their organisations. Finally, in yet another sense, the concept could be called unsocial, as we have seen in our case study that compensation is dependent on land-ownership. Now, it could be argued that this is just a matter of luck: very few organisations own forests, hence the concept cannot be universal. Additionally, a change in forest use costs an estimated 218,000 euros per year due to a reduced sale of timber. This money could be better spent on students and research. Is this a valid objection? One lesson is clearly that CO2-neutrality concepts are place-dependent, and one must be careful not to easily generalise transfer possibilities. One lesson is clearly that CO2-neutrality concepts are place-dependent, and one must be careful not to easily generalise transfer possibilities. Yet, with a view to well-endowed places such as Greifswald, the conclusion in light of the ethical case for climate neutrality: they should move more quickly towards CO2-neutrality, as it is especially simple in such a place. Others will have to work much harder! Another question to consider: Is 218,000 euros/annum too high for implementing a local compensation project? International organisations, such as, PrimaKlima e.V., only spend about 75,000 euros for the sequestration of 5,000 tonnes of CO2/annum for a certified afforestation project that involves creating a new 100,000 sqm forest. As a report on the state of the art voluntary carbon market shows, in 2013 a certified gold standard project required about 8.50 US dollars per tonne of CO2-emissions for compensation.7 To achieve Greifswald University's 5,000 tonnes (approximately) of CO2-emissions equivalent per annum, this would require a project volume of about 42,500 US dollars or about 38,500 euros (based on an exchange rate of 1 US dollar to 0.9 euros). Nevertheless, even if local compensation is much more expensive than a compensation project abroad, there are some great advantages. Local compensation is more easily scrutinized. It is far more difficult to detect if projects abroad really add carbon storage, or if they have detrimental social and ecological consequences in poorer countries. These are core compensation issues surrounding green-washing. Additionally, carbon storage projects provide an opportunity for research and teaching projects on site. Especially long term research projects that students and other research institutions are involved in and collaborate, generating new research fields and opportunities. Still, foregone revenue is foregone revenue. Yet, could such an insight be the subject of a competition to identify more efficient ways of reducing emissions? Understand the truth – and be creative. If the focus is specifically on carbon dioxide, the terms carbon or C02-neutrality is appropriate; if the focus is on greenhouse gases in general, the term climate neutrality should be used. Dhanda, K. Kathy; Hartman, Laura P.: The Ethics of Carbon Neutrality: A Critical Examination of Voluntary Carbon Offset Providers, in: Journal of Business, Ethics, 100(1), pp. 119-149, at p. 125, cf. URL: http://link.springer.com/article/10.1007/s10551-011-0766-4, 17.07.2015. Cf. Ziegler, Rafael: Climate Neutrality – on the Emergence of a New Conception of Resource Neutrality, in: Greifswald Environmental Ethics Papers, Greifswald 2014, No. 8, URL: http://www.botanik.uni-greifswald.de/130.html, 17.07.2015. Orr, David W.: Optimism and Hope in a Hotter Time, in: Conservation Biology, New York 2007, Vol. 21, No. 6, pp. 1392-1395, at p. 1393, URL: http://onlinelibrary.wiley.com/doi/10.1111/j.1523-1739.2007.00836.x/epdf, 17.07.2015. Wilmking, Martin; Wölk, Monique: C02-neutrale Universität. Umsetzungs-Konzept, Universität Greifswald, Institut für Botanik und Landschaftsökologie, 19 December 2014. Measurements do not include the Faculty of Medicine, as it is an independent unit, however, they have stated that they will aim to reduce their emissions. Cf. Peters-Stanley, Molly; Gonzalez, Gloria: Sharing the Stage. State of the Voluntary Carbon Markets 2014. A Report by Forest Trends' Ecosystem Marketplace, Washington, DC 2014, URL: http://www.forest-trends.org/documents/files/doc_4841.pdf, 17.07.2015.